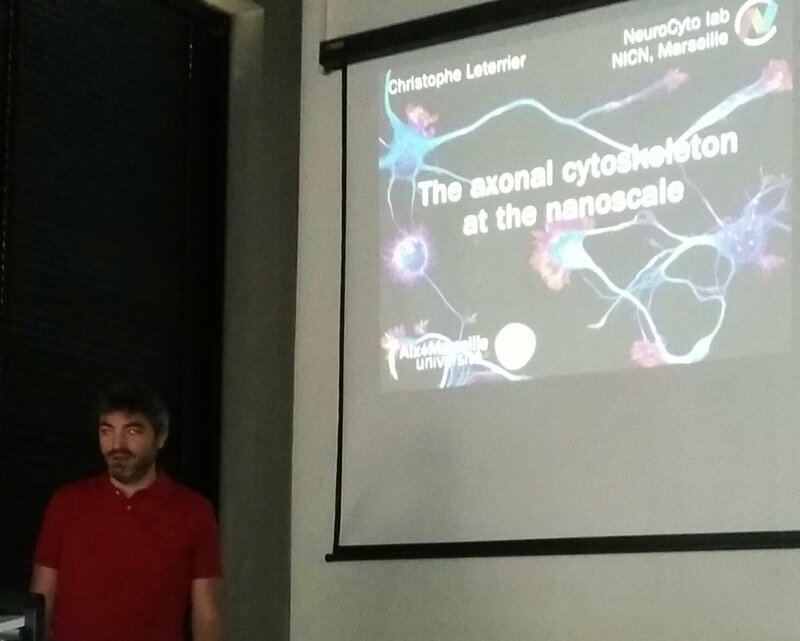 Christophe was invited to the Royal Netherlands Academy of Arts and Sciences, for a colloquium on “Cell Biology of the Axon: Progress Made and Promises Ahead“. Two days discussing broads topics including axon development, axonal organization, neurodegeneration… A short Twitter thread can be found here. He was then in Utrecht invited by Amélie Fréal in Casper Hoogenraad’s lab (see the yeti-type photographic evidence from Mithila Burute below 😉). Thanks for the invite guys!